Mackay Regional Council came into existence after the amalgamation of the former Mackay City Council, Mirani Shire Council and Sarina Shire Council on March 15, 2008. The previous Mackay City Council amalgamated with the former Pioneer Shire Council and former Mackay City Council on April 8, 1994. The Pioneer Shire Council was established in 1880, when it was known as the Pioneer Divisional Board. The original Mackay City Council was established in 1869. The current organisational structure aligns council's five departments with Corporate Plan goals and objectives, giving a much clearer focus to council's overall direction. The councillors' role is to decide the facilities and services for the community and to make local laws to help provide a prosperous, sustainable and vibrant region for residents. 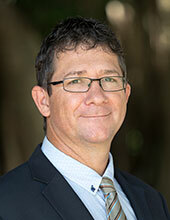 Craig Doyle was previously the CEO of Gladstone Ports Corporation for two and a half years and has held senior executive management roles at Wilmar Sugar, Mackay Sugar and Sugar Australia. He holds a MBA in Technology Management, a Post Graduate Diploma in Management and an Associate Diploma in Science. 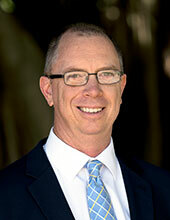 With a 30 year career at management level, Craig brings a wealth of experience in leadership and communication. His key focus is creating environments where changes and continuous improvement can successfully occur in collaboration with staff. Married with four children, Craig enjoys spending time with his family, most sports and doing the occasional handyman job. Jason Devitt holds a Bachelor of Engineering and is a registered Professional Engineer of Queensland. With over 18 years experience in local government, Jason first started his career as an engineer in the water industry. Since then, he has progressed through numerous management positions expanding his field of expertise from water to waste and roads management. As the Director of Engineering and Commercial Infrastructure, Jason has a passion for delivering quality infrastructure projects that not only encourage regional growth, but also enhance liveability for the wider community. His current responsibilities include the delivery of water and sewerage services, including infrastructure and treatment, waste services, roads and drainage. Jason is also responsible Emergency Management and is the Local Disater Coordinator for the Local Disaster Management Group. Before joining council, Bridget accumulated 20 years of experience within the Commonwealth Government in a series of senior management roles. 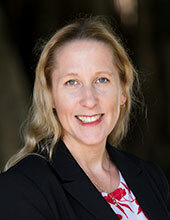 Bridget has lived in Mackay for most of her life but has worked in Darwin, Sydney, Townsville, Melbourne and Canberra. She has been involved in farming and the construction industry so has a finger on the pulse of the local economy. In her spare time she is involved in several local service clubs and is past president of Zonta and the current chair of the Domestic Violence Resource Centre. Bridget has a strong connection to the Mackay region and will strive to ensure the community has the best possible access to council facilities and services. 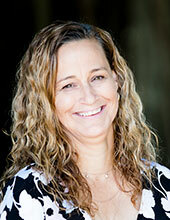 She believes that Community and Client Services is the glue that keeps people in towns and holds a community together. Bridget has a Masters of Business Administration. Kylie has worked in local government for more than 19 years and before being appointed Organisational Services Director had been Mackay Regional Council’s Financial Services manager since January, 2012. She had also previously worked at Brisbane City and Mt Isa City councils in various financial roles before joining Mackay council in 2008..
Kylie has a Bachelor of Business (Accounting) from the Queensland University of Technology, is a Certified Practising Accountant (CPA) and a Justice of the Peace (JP). She is originally from Brisbane but had also lived on the Gold Coast and Mount Isa before settling in Mackay. She is married with three adult children. Aletta has been working in local government at an executive and senior management level for 12 years after starting her career as a solicitor specialising in planning and environmental law. She holds qualifications in law, science and land use planning. Aletta has worked in local government in both Western Australia and Queensland, relocating to Mackay from Broome. She was born and raised in regional Queensland and has a strong attachment to North Queensland. Council has appointed a new Director Capital Works as part of the senior leadership team to lead the delivery of the Capital Expenditure Program. In 2018-19, council’s Capital Works program will be more than $120 million and will include a diverse range of projects, ranging from roads, drainage, water and sewerage and parks to the Mackay Region Sports Precinct. Stewart joins us from Perth, where he most recently was the Head of Operational Service at Western Power. In that role he was accountable for the safe, efficient delivery of a $500 million work program. At council, he is tasked with centralising the delivery of our capital works program, ensuring it is delivered safely, on time, to budget and quality. Stewart is married with two small children and is excited to have made the move to Mackay. 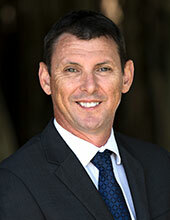 David is a long-term Mackay local, having originally moved north from Rockhampton. With more than 20 years’ experience in local government, David rejoined Council in 2002 after an earlier stint and has held the position of Executive Officer since 2013. He holds qualifications in business, local government and is a recent Graduate of the Australian Institute of Company Directors. As a Mackay resident, David has been involved in a variety of local sporting and other groups, including acting as treasurer for a number. David is married with one son, and enjoys spending weekends gardening at their property at Erakala.